At a recent HealthDoers Peer-to-Peer Event, 75+ stakeholders met to discuss promising approaches for combining social determinants of health (SDOH) data with traditional health care data. Kelly Cronin, MPH, director of the Office of Care Transformation at the Office of the National Coordinator for Health Information Technology (ONC) and Niall Brennan, former chief data officer at the Center for Medicare & Medicaid Services (CMS), provided a national-level perspective on the role of SDOH data in health care transformation. These leaders were joined by practitioners from the Center for Improving Value in Health Care and the Cincinnati Children’s Hospital Medical Center, who helped illuminate successful local approaches to integrating multi-sector data for community health. Representatives from the DASH National Program Office attended the meeting and compiled a set of recommendations for organizations interested in supporting data sharing between health care and other sectors. The All In: Data for Community Health network is looking forward to working with HealthDoers to advance this work, which is vital to building a culture of health. The ability to act on SDOH in clinical settings has historically been constrained by payment models which incentivize treating disease rather than promoting health. Cronin and Brennan both stressed the need to implement payment and delivery system innovations that can help encourage systematic collection of SDOH data for community health improvement. Even were it possible or common, simply documenting SDOH in EHRs is not enough. Care teams need to adjust workflows to incorporate SDOH data into their current practice to meet their patients’ health and social needs. Cronin emphasized the importance of making the value case for data sharing to health care providers, demonstrating how SDOH data can make an impact on their existing goals. In fact, Brennan asked: Is the data really stopping you? He agreed that success of CMS’ value-based care initiatives will depend on lessening physician burden and ensuring seamless flow of data and information to providers and insurers. One tool that CMS is re-engineering as a patient-centered data home is Blue Button, a technological platform where Medicare patients can access data and share it back with their providers. Brennan’s advice to “start by focusing on the data you have, not the data you want” resonated with HealthDoers participants. Patient-level data collection can require considerable resources, so it’s important to start with a clear purpose for data collection and then search for data already available that can serve your needs. Insurance claims data on race, ethnicity, Medicaid eligibility (proxy for income), and zip code can be leveraged until patient-level data can be easily collected. CMS is working to make their system-level SDOH data free and widely available as possible with products like Medicare public use files and physician utilization files. Sharing visualizations of this data with providers can help them understand their patient panel and generate buy-in to collecting even more useful patient-level information. The Center for Improving Value in Health Care is integrating social services and health care data in Colorado through a statewide community resource directory. 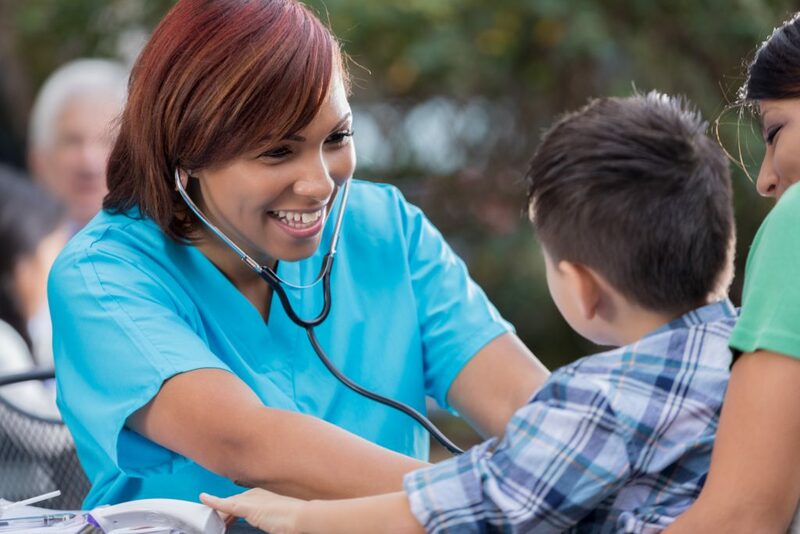 Cincinnati Children’s Hospital Medical Center is identifying neighborhoods with poor child health using EHRs and geographic information systems. Overlaying information about housing code violations and other community data has led to a partnership with legal aid groups to ensure clients have access to public benefits and healthier housing. HealthDoers is supporting DASH and other initiatives that are part of All In: Data for Community Health by helping local initiatives connect to each other virtually. All In communities have ready access the growing body of evidence to support this work. Stay tuned this month as All In collaborates with HealthDoers to continue and deepen the conversation that was started in Cincinnati on their open community!